Jordan was beyond excited when he called me to tell me he was going to propose. I followed them around the Nelson's lawn until Jordan got down on one knee and asked Kristina to marry him. WOO! 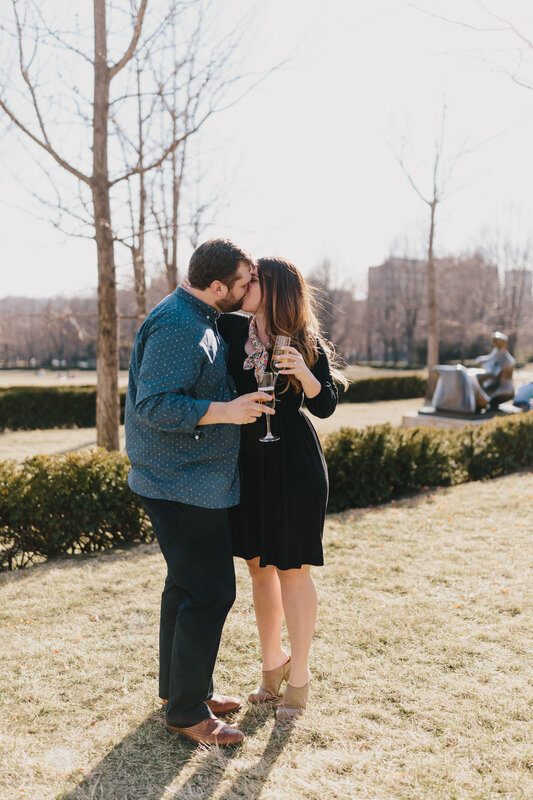 After she said yes, they popped some bubbly and enjoyed that just-engaged bliss. Jordan and Kristina - You two are so wonderful and I am so thankful that I get to photograph your wedding this summer. <3 YAY!!!! Want more info? Contact me here!